The following destinations are located on or near Route 99 Sea to Sky Highway: Horseshoe Bay, Furry Creek, Lions Bay, Britannia Beach, Squamish, Whistler, Pemberton, Mount Currie, and Lillooet. The "Sea-to-Sky Highway" is the name given to the section of Highway 99 starting just north of Horseshoe Bay. From Horseshoe Bay, the highway travels along the coast of Howe Sound for 12 km (7 mi) to Lions Bay, north for another 21 km (13 mi) to Britannia Beach, and north for 11 more km (7 mi) to Squamish, at the head of Howe Sound. 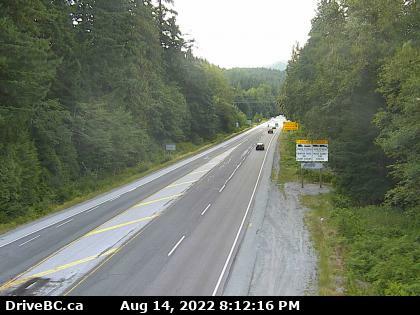 From Squamish, it continues north for another 58 km (36 mi) to Whistler, and then to Pemberton 32 km (20 mi) later, where the Sea-to-Sky Highway ends and the Duffey Lake Road begins. 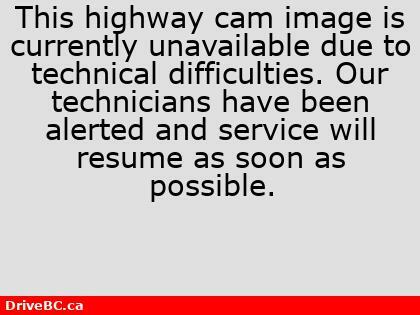 99 km (62 mi) northeast, Highway 99 reaches the junction with Highway 12 at Lillooet, and then goes northeast for another 75 km (47 mi) to its northern terminus at its junction with Highway 97, just north of Cache Creek. Here is a map of Whistler BC Showing the Satellite view including the road and street overlay. Zoom in for a map of Whistler Village. Hwy 99, about 12km south of Squamish, looking to the south. 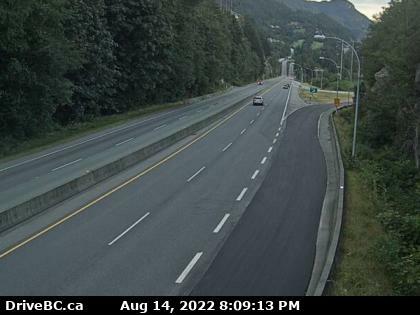 Hwy 99 at Squamish Valley Rd, about 10km north of Squamish, looking north. Hwy 99, south of Whistler, looking to the south. 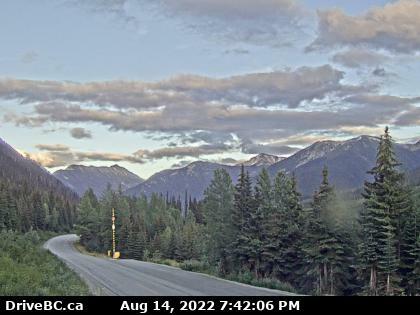 Hwy 99 at Cheakamus Lake Rd, 5 km south of Whistler, looking to the north. 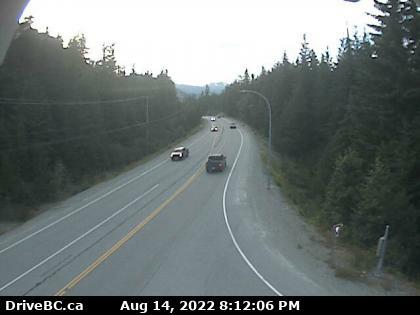 Hwy 99, about 13km north of Whistler at Riverside Drive, looking north. 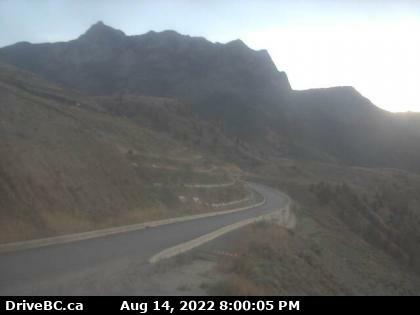 Hwy 99, near Fountain Slide, about 15km north of Lillooet, looking northeast.